Craftin' Caro: SAB product of the day: Fresh Vintage set! SAB product of the day: Fresh Vintage set! 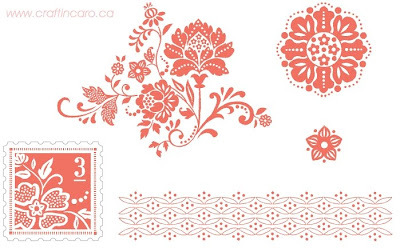 Here is one of this years exclusive Sale-A-Bration offerings:the Fresh Vintage Stamp Set! This set of 5 cordinates beautifully with the Postage Stamp Punch and is available in both wood mount and clear.